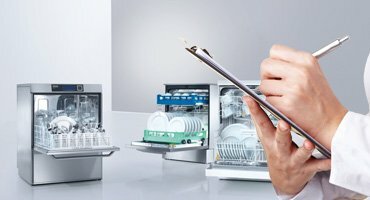 By far the most popular way of acquiring new commercial laundry equipment is on a rental option. 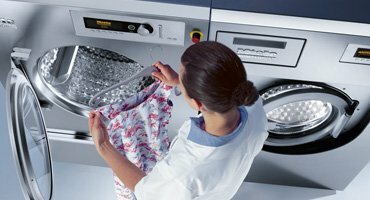 Our customers require the equipment to be reliable and working to meet the day to day demands of a busy laundry. When problems arise they need a quick and efficient solution and this is where the rental option comes into its own. 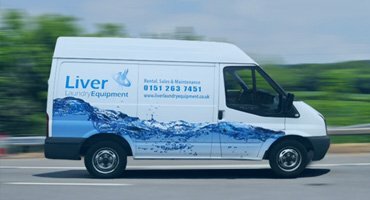 As part of a rental agreement full service back up is an essential requirement, this includes all call-out charges, the engineers’ time on site and all parts used & preventative maintenance. There is no need to get authorisation for repairs, that can cause substantial delays and any member of staff can call our busy maintenance department for an immediate response. Problems with owned equipment can lead to unexpected and costly purchases. All our agreements have fixed monthly rates ensuring that from day one to the end of the term you have a budgeted cost for all your equipment. The needs of your business may also change over a period of time. Rented equipment can be upgraded at any time or indeed should there be any serious problems associated with any of your rented equipment it will be changed without delay ensuring there will be a minimum of disruption to your laundry. At the end of a rental agreement it will be the optimum time to upgrade or change your equipment. This ensures you will never be in a position where equipment is becoming old and unreliable. Your equipment will always meet the needs of your business and conform to ever changing standards within the industry. 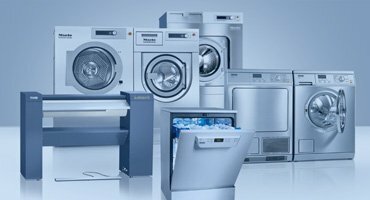 Should your preference for acquiring laundry equipment not enable you to enter into long term rental contracts then another option would be lease purchase. Equipment can be purchased over a period of up to 5 years. You also have the option of taking equipment with the benefit of a maintenance contract, running alongside your purchase this gives you the added assurance that you will have no maintenance issues during the lease period. Outright purchase is also available. Purchase the equipment with a 12 months parts & labour warranty or choose to add an annual maintenance contract for the 2nd year.